The basic idea behind my Cranberry Zinger is a dry, fizzy beer with a tart taste and puckering mouthfeel from cranberry relish. Although I mostly brew all-grain, I usually make the base beer for this as a simple mixture of wheat malt extract and honey. If the extract is fresh, everything will be fine, and the brew day is very short. You can choose any variety of honey you want, as long as it’s decent. Using expensive honey for this recipe is probably a waste. This beer is very lightly hopped, and no late hops (or dry hops) are used. The base beer itself tastes like a dry American wheat beer. I usually add two packets of dried yeast to ferment the 5 gallons (19 L) of beer, but that’s not strictly required. I like the base beer to ferment quickly and end up maximally dry, though, so I add the second packet to help with this. The interesting part is the fruit mixture — the standard mixture for cranberry relish as it is usually prepared for Thanksgiving. 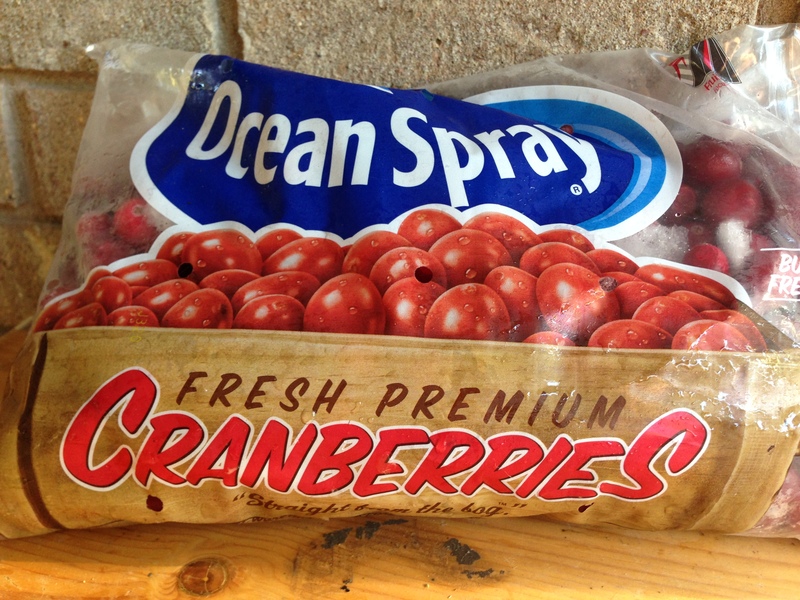 Cranberries are tart and strongly flavored, with a relatively high amount of tannins. This, combined with the bitterness from the orange pith, gives the beer a slightly bitter, somewhat puckering quality even though the hop bitterness is low. The combined cranberries, oranges, and Granny Smith apples produce a very fruity aroma, which is enhanced by the high degree of carbonation. You do not need to make any attempt to sanitize the fruit mix. The pH of the beer and relish mix won’t support the growth of most brewery contaminants. A contact time of a week is all you really need. Rack the beer to a keg and carbonate it, and it’s almost ready to go. This beer requires only a couple days of conditioning time. This beer is extremely straightforward to make and turns out great every time. This is cranberry beer that I (try to) brew every year for Thanksgiving. The beer is very easy to brew, and is a big hit with friends and family. The base is a honey wheat beer. I usually use orange blossom honey, but that can get expensive so use whatever honey you like. The beer is flavored with cranberry relish — cranberries, Granny Smith apples and Navel oranges (zest, rind, pulp and all). The beer is fairly dry and somewhat tart due to the cranberries. The orange pith lends some bitterness and the cranberry skins give the beer a dose of astringency that keeps the beer from seeming like alcoholic fruit punch. Put two 1.0-gallon jugs of water in your refrigerator the night before brewday. Fill brewpot with 2.5 gallons of water, stir in malt extract and bring to a boil. Add hops and boil for 30 minutes. Do not let boil volume dip below 2.0 gallons. Add yeast nutrients with 15 minutes left in the boil. Stir in honey at knockout. Let sit for 5 minutes (at 170 °F or above), then cool wort to around 110 °F. Add chilled water to fermenter and siphon beer into it. (Do not pour hot wort through a strainer.) Top up with cool water to yield 5.0 gallons of wort at 65–68 °F. Aerate well and pitch yeast. (Just sprinkle yeast on top of wort.) Ferment at 68–70 °F. When fermentation is complete, make cranberry relish. Do this by rinsing the fruit in water, then combining cranberries, apples (minus the cores) and whole oranges (rind and all) in a food processor. Blend to the consistency of cranberry relish, Place fruit in sanitized bucket fermenter and rack beer onto it. (You can put the fruit in a nylon steeping bag to keep it contained.) Add pectic enzyme. Let fruit contact the beer for 7–10 days, then rack beer to bottles or keg. Carbonate to 2.8 volumes of CO2. Put two 4-L jugs of water in your refrigerator the night before brewday. Fill brewpot with 9.5 L of water, stir in malt extract and bring to a boil. Add hops and boil for 30 minutes. Do not let boil volume dip below 7.6 L. Add yeast nutrients with 15 minutes left in the boil. Stir in honey at knockout. Let sit for 5 minutes (at 77 °C or above), then cool wort to around 43 °C. Add chilled water to fermenter and siphon beer into it. (Do not pour hot wort through a strainer.) Top up with cool water to yield 19 L of wort at 18–20 °C. Aerate well and pitch yeast. (Just sprinkle yeast on top of wort.) Ferment at 20–21 °C. When fermentation is complete, make “cranberry relish.” Do this by rinsing the fruit in water, then combining cranberries, apples (minus the cores) and whole oranges (rind and all) in a food processor. Blend to the consistency of cranberry relish, Place fruit in sanitized bucket fermenter and rack beer onto it. (You can put the fruit in a nylon steeping bag to keep it contained.) Add pectic enzyme. Let fruit contact the beer for 7–10 days, then rack beer to bottles or keg. Carbonate to 2.8 volumes of CO2.